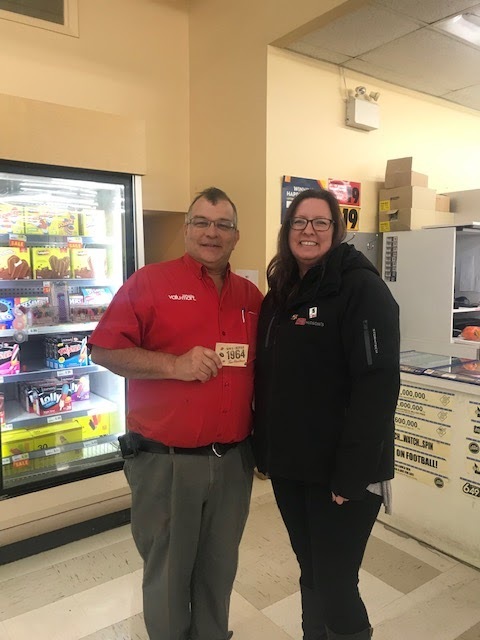 Kinette Club of Shelburne gave out free hot chocolate with marshmallows to Shelburne residents registering for summer sports. To celebrate the Day of Kindness, we decided to try something different and hold a Kin information day at The Villages of St. Clair Nursing Home. The director of the home told us that the men at the home were thinking of starting a "mens club" and so our presentation was going to focus on how to go about that. After taking on this project, we found out that a Life Member of our Club, Bill Powers (1981) was a resident. That gave the project extra meaning to our Club. The Club paid for a luncheon for the men at the home and we opened our presentation with a showing of the "Milk for Britain" movie which highlighted the history of Kin in Canada. President Andy then gave a talk on our Club's 88 year history in Windsor. We made sure we brought enough regalia and memorabelia for everyone to see what we were about. We also got Ontario flags and pins from our locall MPP to hand out to the residents. To close the meeting, we held a special ceremony for Bill Powers and presented him with a KIN shirt and assorted pins. We also reminded him that he was STILL a member of the Club even though he was a bit behind in his dues. The home also arranged to have Mr. Powers' family in attendance to add meaning to the ceremony. Bill told us "the Club will always have a special place in his heart". This is Mitchell & District Kinettes Day of Kindness. Pictured here is Mitchell's President Kelley Lorentz and Steve manger of Foodland, our biggest supporter! Fellow Kin, February 22nd and 23rd, we had our first ever District One Kin Family weekend at the Americana in Niagara Falls. 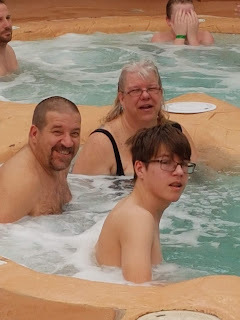 We had 40 people come out and enjoy the fellowship and the facilities at the hotel. The waterpark was fantastic and the staff was great!! Some families even found time to spend the afternoon touring Niagara falls and Clifton hill. 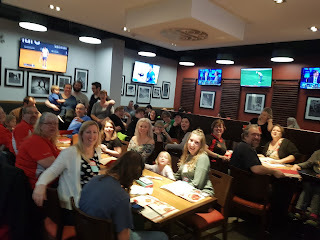 All this fun and fellowship was topped off with a Kin family dinner at Boston Pizza , Saturday night. 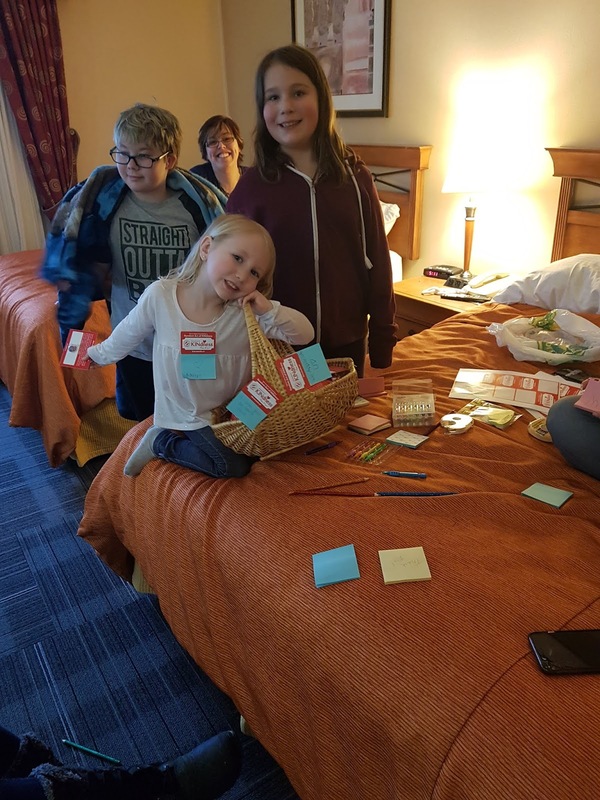 We were also able to incorporate National Day of Kindness into the weekend ,handing our stickers with notes of praise (written by the kids) to the staff , as well as handing out NDK cards with chocolates on them. A great time was had by all who attended.